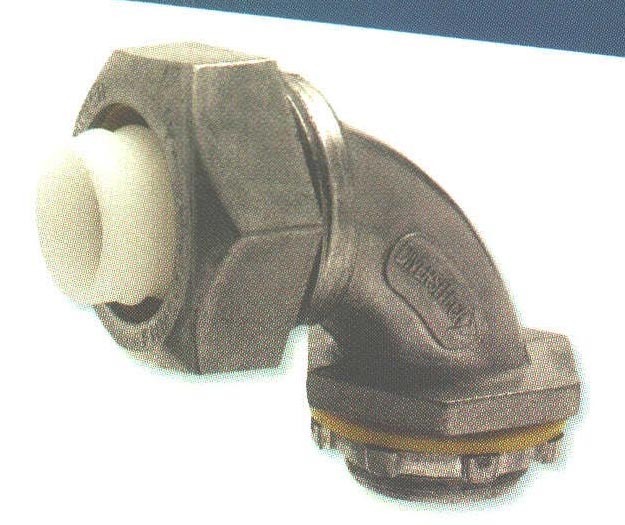 Metallic Straight Conduit Fittings - Bolt Products Inc. Designed specifically for electrical applications. For outside, inside, and industrial uses including transformer connections, air conditioning, and heating. Suitable for use in both wet and dry location. Furnished with locknut and plastic sealing ring. Fits the most common sizes of nonmetallic liquid tight conduit. For use with Heyco Flex I and Flex II Liquid Tight Conduit and Tubing.